Product Use: All statements, technical information and recommendations contained in this document are based upon tests or experience that 3M believes are reliable. 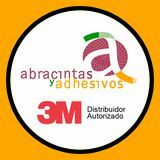 However, many factors beyond 3M’s control can affect the use and performance of a 3M product in a particular application, including the conditions under which the product is used and the time and environmental conditions in which the product is expected to perform. Since these factors are uniquely within the user’s knowledge and control, it is essential that the user evaluate the 3M product to determine whether it is fit for a particular purpose and suitable for the user’s method of application. Warranty and Limited Remedy: Unless stated otherwise in 3M’s product literature, packaging inserts or product packaging for individual products, 3M warrants that each 3M product meets the applicable specifications at the time 3M ships the product. Individual products may have additional or different warranties as stated on product literature, package inserts or product packages. 3M MAKES NO OTHER WARRANTIES, EXPRESS OR IMPLIED, INCLUDING, BUT NOT LIMITED TO, ANY IMPLIED WARRANTY OF MERCHANTABILITY OR FITNESS FOR A PARTICULAR PURPOSE OR ANY IMPLIED WARRANTY ARISING OUT OF A COURSE OF DEALING, CUSTOM OR USAGE OF TRADE. User is responsible for determining whether the 3M product is fit for a particular purpose and suitable for user’s application. If the 3M product is defective within the warranty period, your exclusive remedy and 3M’s and seller’s sole obligation will be, at 3M’s option, to replace the product or refund the purchase price. Limitation of Liability: Except where prohibited by law, 3M and seller will not be liable for any loss or damage arising from the 3M product, whether direct, indirect, special, incidental or consequential, regardless of the legal theory asserted, including warranty, contract, negligence or strict liability. 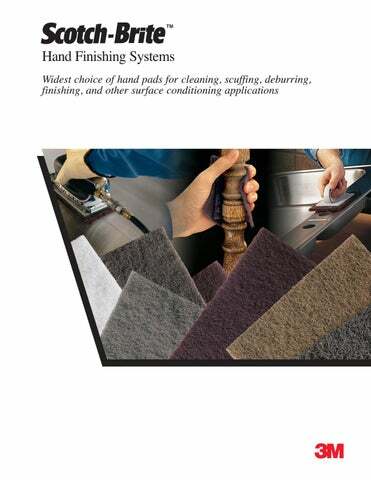 3M, Scotch-Brite and Twist-Lok are trademarks of 3M. Printed in U.S.A. 61-5002-8008-8 © 3M 2006. All Rights Reserved. Catálogo Abrasivos Fibras Scotch Brite.